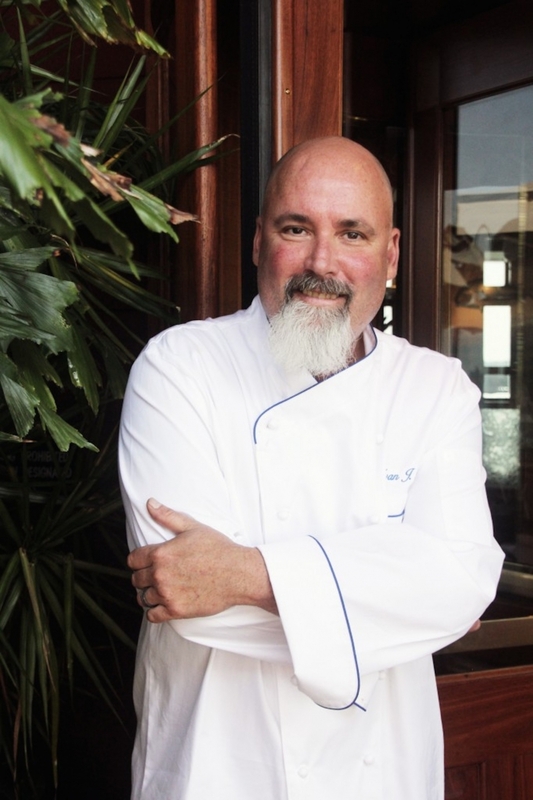 Due to creative differences Chef Ivan Flowers has left his position as executive chef of Top of the Market in downtown San Diego, which remains closed after a May 2015 fire. Flowers has over 25 years of fine cuisine experience and is now one of the most eligible unemployed chefs in America's Finest City. Prior to becoming executive chef at Top of The Market, Chef Flowers owned Fournos restaurant in Sedona, Arizona, which received many accolades, including being named a top 25 restaurant in Arizona. He was also Executive Chef at L’Auberge de Sedona, the AAA Four-Diamond, Four Star award winning restaurant. Before relocating to San Diego, Flowers had created extraordinary cuisine for some of the finest restaurants in Arizona, including T. Cooks at Scottsdale's Royal Palms Resort and the Phoenician's Mary Elaine's and Different Pointe of View. The Harley-riding Flowers got his love for cooking from his father, who was also a chef and restaurant owner. Flowers is also an avid culinary teacher and thrives from passing along his skillset. From 2001 to 2007, Flowers served as Executive Chef at Different Pointe of View in Phoenix, where his distinct menu earned praise from food critics around the world. Here, Flowers' "teaching kitchen" became regarded as one of the most coveted places for up-and-coming chefs to develop their skills and discover their own style. Different Pointe of View became the finest restaurant for high end cuisine for Hilton Hotels world wide. Chef Flowers was bestowed the honor of one of the greatest Chefs globally for the Hilton Hotel Corporation. Prior to this role, Flowers was the lead instructor and chef of L'Ecole restaurant at the highly-respected Le Cordon Blue SCI Culinary Institute in Scottsdale. As chef and instructor, Flowers was responsible for educating an ongoing class of 30 students in classical French cuisine. In addition, he handled all restaurant operations including menu development, budgeting, forecasting and catering. During his tenure, L’Ecole received its highest Zagat rating and went onto to a four month waiting list for reservations. Flowers received his A.O.S. degree in culinary arts and restaurant management from Le Cordon Bleu SCI Culinary Institute in 1997. While attending Le Cordon Bleu, he was a Sous chef at ASU's University Club, as well as a Sous Chef at Scottsdale Center for the Arts. In addition to his culinary education, Flowers holds a bachelor’s degree in psychology from the New York Institute of Technology. Anybody searching for a classically trained chef with a quarter century of experience cooking global fusion cuisine, reach out to chefseek@sandiegoville.com and we will be sure to pass along your info!